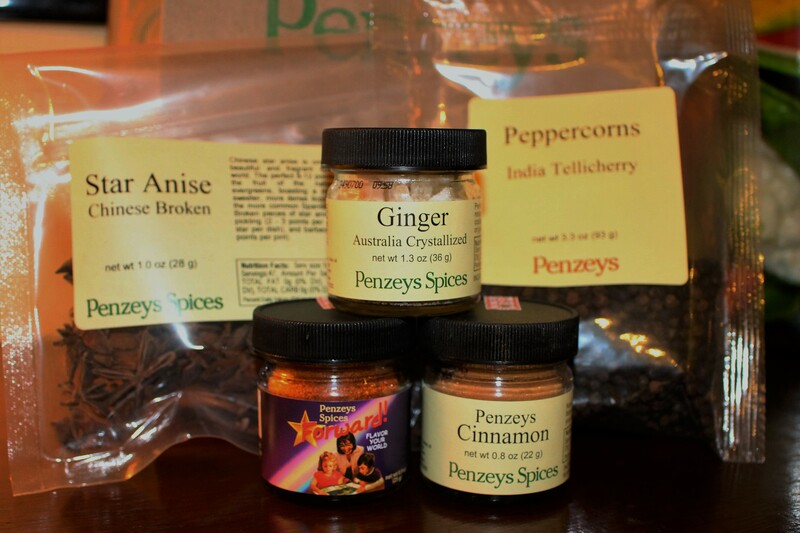 Penzeys Spices will WOW you! 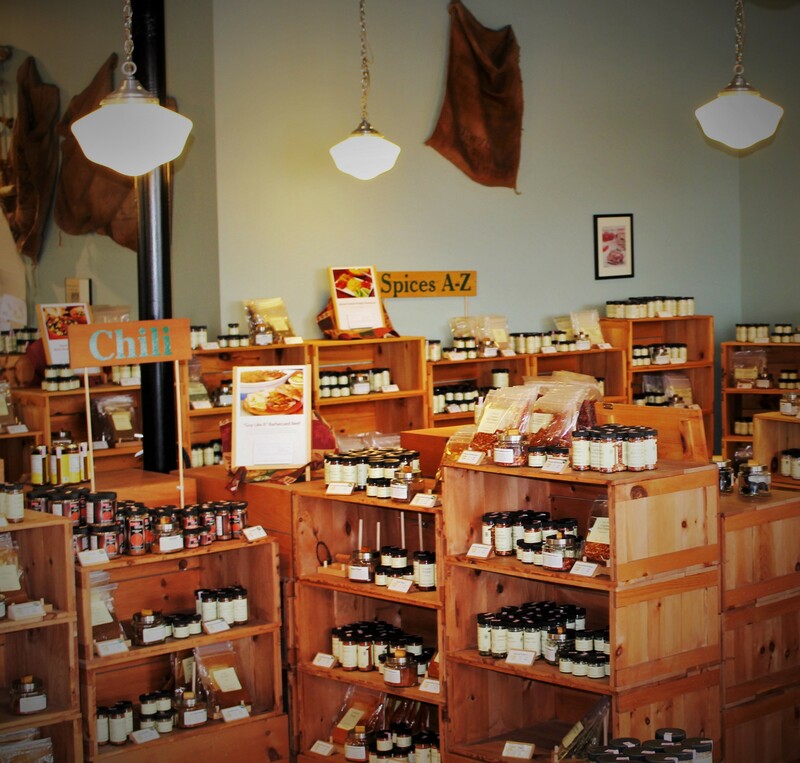 The smell of all the spices when you enter the store is inviting and enveloping. The burplap sacks hanging on the walls are the perfect decorations. In keeping with the spice trade theme, all the spices are displayed in or on wooden crates. I consider myself pretty knowledgeable when it comes to all things food, but goodness they had spices I had never heard of! This is place is a gold mine…or should I say spice mine. The spice ladies were very helpful and eager to answer all of our questions. Throughout the store are peel and take recipe cards. Brilliant! 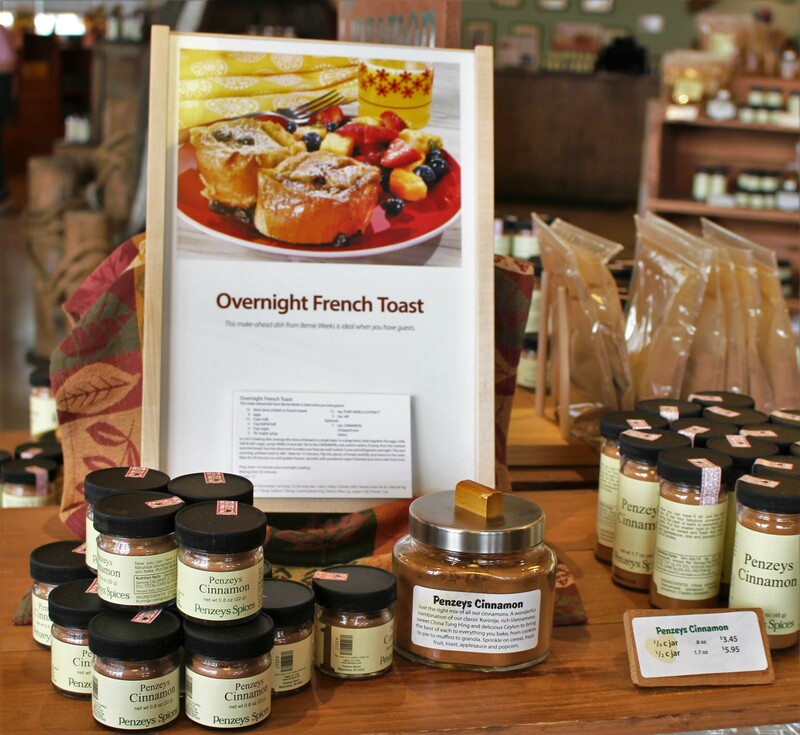 I am going to be trying this overnight French toast soon. All the spices are displayed in glass jars that can be opened for a good sniff before you buy. There is also a very detailed description on the jar with suggested pairings and uses. The spices come in small 1.0 ounce jars for the commitment phobics like me or large 3.5 ounce bags for those in for the long haul. Here are my purchases. The pepper is perfection. The Forward seasoning has become my go-to spice blend AND it is salt-free. I use it on everything. The other night I used it on roasted asparagus with olive oil….I ate every spear. EVERY one. The other spices I am going to try with the Penzeys’ recipe cards I picked up in the store. Penzeys also sells great pre-made gift boxes or you can make your own. If the box is over $30, they will even ship it for free! Really cute dish towels and aprons as well. Check Penzeys out soon. You will be delighted.